Trump’s budget carries enormous risks, a negative fiscal loop can not be ruled out. The U.S. administration’s trade wars have now entered an open stage, China’s retaliation decisions are of critical importance. USD LIBOR rates need watching as they skyrocket for no obvious reason; liquidity in the London interbank market collapses. The dollar will have to weaken significantly in order for the U.S. balance of payments to move to a new equilibrium. General risk rally is now firmly in late stages, we suggest selling on rallies now. In the FX space, this relates to high-yielding and EM currencies. As March moved on several major issues arose that are certain to keep on impacting global markets, or at the very least bear significant mid-term risks. The first story is the U.S federal budget and tax reform, and it is not really new. But what could once be interpreted as a positive development is now getting straight-up ugly. In late March, Donald Trump signed a spending bill to fund the government through September 30. 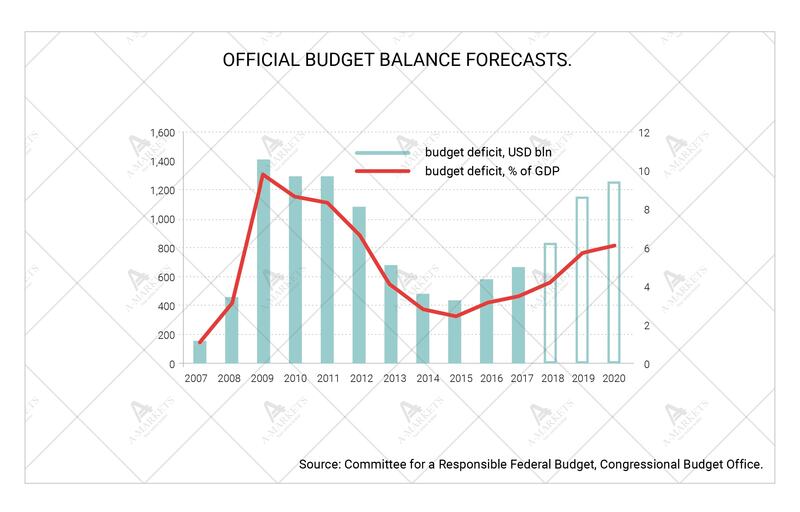 The U.S. budget deficit is now set to exceed 3% of the GDP this fiscal year, and will leap to over 5% in 2020. We aren’t going to delve into the political aspects of the new bill, although they are quite funny (it honestly seemed like Trump had only signed it into law so he could finally go golfing). But from the economic viewpoint, it does look like a disaster waiting to happen. The Treasury is set to spend $1.3 trillion in the remaining 6 months of the fiscal year with the primary deficit of over 600 billion. This is despite the fact that the economy is not only growing, but is doing so at rates faster than its potential. The main question for investors is, what’s going to happen when the recession hits? To what levels will the deficit balloon, and who’s going to fund all that? This is where another major issue comes into play. Europe and Asia are now running very high current account surpluses, to the limits of their own productive capacity. So they are an unlikely source of additional demand for bonds. Commodity-exporting countries should boost the demand slightly, but it still won’t compare to the treasury’s appetite. China could save the day, but the U.S. government’s priority is for the trade deficit to shrink. Considering the growing budget needs, that could be achieved by either letting the dollar weaken or cutting imports. And it appears that the U.S. has taken the latter path. 3. Section 301: intellectual property and technology transfer. As of today, decisions have been made on all three. Trump’s administration plans to impose tariffs on up to $60 billion of Chinese goods, or 12% of China’s share in U.S. imports. The investigation into intellectual property theft has the most damaging effect as it accounts for a huge chunk of the amount. Beijing’s response was quick and fairly soft. China hit back with tariffs of only $3 billion on U.S. goods, which is, of course, a minuscule amount. 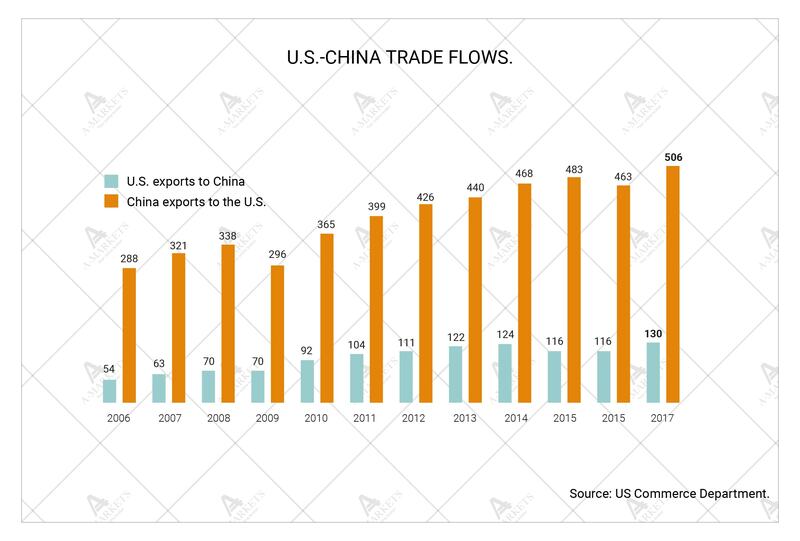 Beijing clearly doesn’t want to be dragged into this trade war and prefers to act on the old Chinese saying: if you wait by the river long enough, the bodies of your enemies will float by. In fact, any response limited to the import of specific goods is only a warning. Even if China decides to target a behemoth like Boeing, they will be just blowing smoke. The two truly damaging things Beijing can do are devaluing the yuan and/or cutting treasury purchases. So while hypothetically China could increase their investments into U.S. bonds, it won’t do so amid a trade war. A decrease in Chinese purchases is a more likely risk here, which would be a massive blow for the markets. So don’t relax just yet. China’s response might have been muted, but there’s still a risk of the situation escalating into a much bigger conflict. Why? Again, politics. Donald Trump’s (and his administration’s) rhetoric will only get more aggressive in the lead up to the U.S. general election, which is scheduled for November 6. There’s still room for new investigations and more trade sanctions. Which is why the US-China relations will hover as a dark cloud over the markets in the next six months. On top of that, there’s a very obvious threat to the dollar. Growing current-account deficit with no additional foreign financing spells doom for the exchange rate. We’re not talking about some kind of USD collapse which our some analysts like to predict oh so often. Rather, we might relive a 2008 situation, when the dollar and the pound traded over $1.5 and $2 respectively. 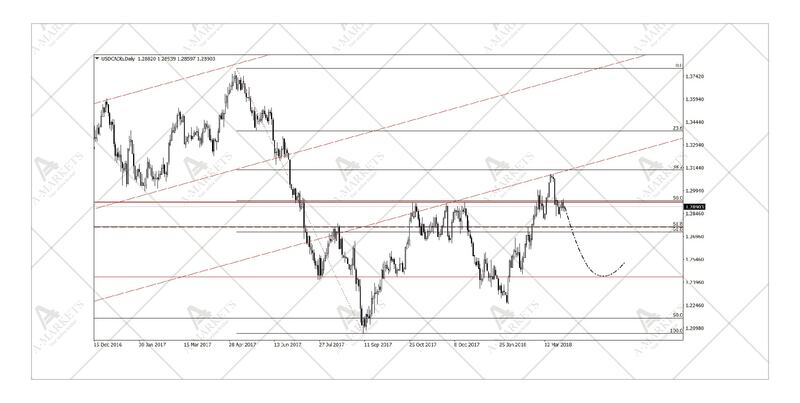 All the developments described above have been keeping EURUSD unable to post a meaningful corrective move. We’ll talk about this in greater detail later, but it’s of an utmost importance to understand just how powerful the factors behind capital flows are. We even drop our idea of a euro-dollar short, even though the rate differential does keep it somewhat relevant for now. Speaking of rates, the most important story here is, of course, LIBOR. What we’re seeing now in the London interbank market is very reminiscent of the 2008 crisis. 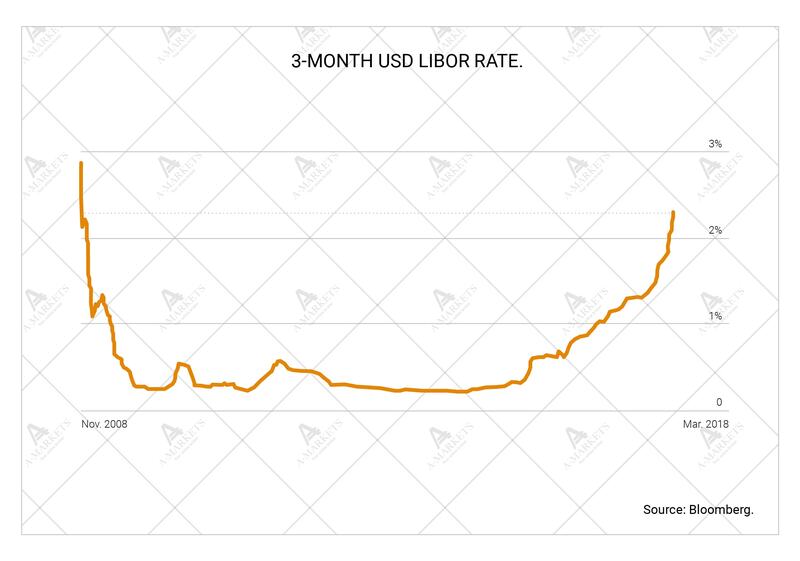 At the beginning of the year, the 3-month USD rate was at 1.69% and was moving generally in line with the Fed’s actions. But in just under three months it skyrocketed to 2.3%, and the rates have outpaced the Fed’s increases. Interestingly, most abnormalities are limited to the spot segment of that particular market. It is unclear why rates are behaving like that. There are a few theories, but none of them fully explains it. The first one is that some financial organization is on the verge of a “credit event” or, to put it simply, some bank is about to burst. We believe this to be the least likely hypothesis as the derivatives market looks calm and liquidity is still ample. 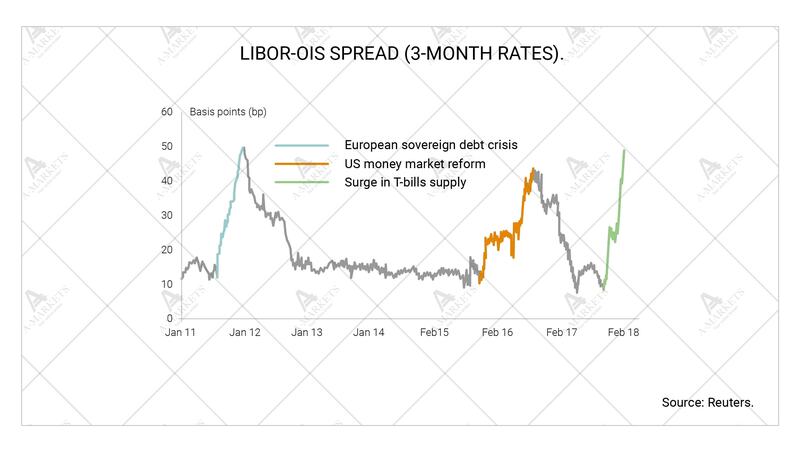 The second theory explains the surge by the changes in the LIBOR methodology. This doesn’t seem likely either as the rate has been demonstrating abnormal dynamics for too long now. Nonetheless, this idea can not be fully ruled out. The third version is that the U.S. Treasury has crowded private borrowers (i.e. banks) out of the market. As Trump was tussling with Congress over the budget plan, the Department of the Treasury had to fund most of its spending with short-term securities. Hence, those who wanted to lend money on a short-term basis gave it to the government rather than a specific bank. The yields are the same, except the treasury is the only one “printing” greenbacks. This led to the number of interbank creditors turning to a different borrower, and rates going up. We believe this was definitely a factor—whether it was or wasn’t the main one should become clearer in the coming days as the new budget bill takes effect. The final theory suggests that Brexit is to blame. Indeed, large British banks relocating to continental Europe would certainly disrupt normal market activity. Perhaps that is what we’re seeing now too. Supporting this version is the same thing that denied the second one: a quiet derivatives market. All in all, we’re inclined to think that Brexit combined with the Treasury’s borrowing are the primary reasons for the short rates overshoot. If this is correct, LIBOR’s move doesn’t necessarily have to evolve into something terrible. Nonetheless, any rate increase is always a sign of growing systemic risks, even if the factors behind these are purely technical. A change in borrowing costs automatically translates into depreciation of debt assets, and it also has enormous influence of the dollar value of rate derivatives. What’s really problematic is that the interbank situation hits the same weak spots as the U.S. budget deficit and trade wars do. The main result is a general rise in volatility. The VIX index has entered a new regime. Its has averaged 19 points since February 5, versus 11.5 points before the “dumping” U.S. treasuries episode. As liquidity dries up due to the Fed’s policy, volatility will continue to increase. 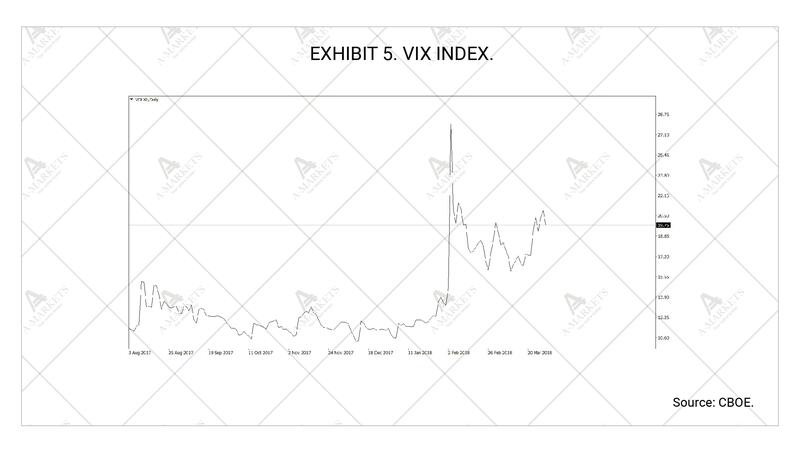 Our models indicate a high risk of another VIX spike in early 2019, and that one may have systemic implications. For now the situation will only trigger local corrections. Most of risk-related assets, however, are unlikely to fully give up gains: buyers remain ample. The main question is, will the long-awaited significant corrective move happen? On the one hand, the rising LIBOR and increasing yields across the curve are classic indicators of general risk-off mood, and an upcoming dollar strengthening. On the other hand, with regards to the FX market, a the U.S. fiscal policy has loosened up much more than the monetary policy tightened. These are keeping the DXY stuck in the 90 area. While short-term the USD might still appreciate a bit, in the mid-term, the risks of the dollar weakness are certainly prevalent. A higher systemic volatility will also keep risk-related assets contained (if not reverse them entirely). High-yielding currencies have stopped appreciating, and some are sliding lower. These pullbacks are likely to be muted and very volatile. At the end of the day, the weak dollar story will make investors seek other assets, and there’s no way they can overlook yielding assets. Medium-term, we expect the final leg up in several EM currencies, including the Russian rouble. 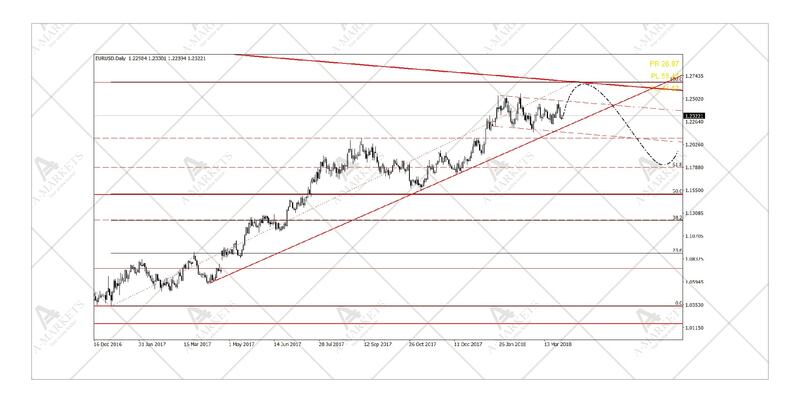 EURUSD: 2017 uptrend still holding. We close our EURUSD short and move to neutral. Our expectations for a EURUSD correction are slowly fading away. The more details we learn about the new U.S. budget, the less we want to engage in any dollar buying. As already mentioned, there are short-term fundamental forces that can still send the unit lower, with dollar rates being the primary one (see the part on LIBOR above). From the technical viewpoint, of course, the pair is in a very late stage of the 2017 uptrend, which hasn’t even been properly tested, let alone broken. There is, however, a very strong long-term resistance ahead, which means a healthy correction of some sort should still happen with the target in the 1.17-1.18 area. Once reached, one could consider going strategically long the EUR, aiming at levels above 1.3. USDJPY: a technical trade against the dollar. We sell USDJPY at 106.2, take-profit at 104.00/101.5, stop-loss at 108.2. The yen has regained its safe-haven status in light of rising volatility and risk aversion. The Japanese currency has been strengthening against the dollar and other counterparts for the past two months. The Bank of Japan is not standing in the currency’s way with the gradual shift in its rhetoric. Altogether, this means that the yen is one of the smartest ways to play the weak dollar going forward. The yen is also shielded (or even benefits) from trade issues. 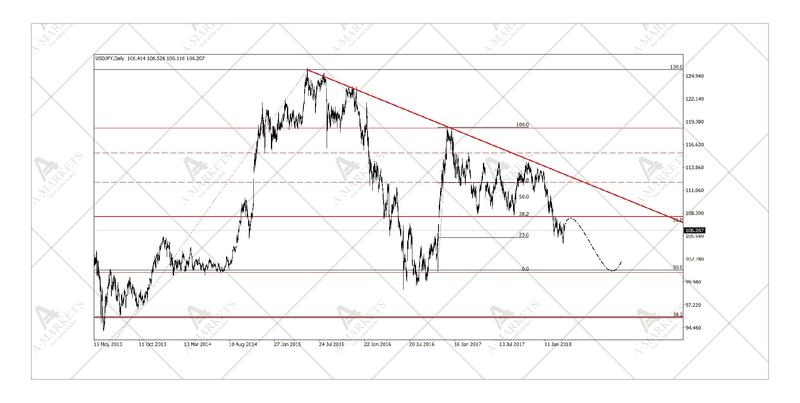 Technical analysis suggests that the USDJPY is currently correcting from a strong support at 104.00-104.60. The cross is likely to retest the area again and could very well break lower. The next target lies within the 101-102 area, and that’s where it would be reasonable to close the short position. Neither the market, nor the monetary authorities will allow the yen to dip below the hundred mark easily. USDCAD: a fundamental trade against the dollar. We sell USDCAD at 1.29, take-profit at 1.244, stop-loss at 1.315. The fact that the Canadian dollar is undervalued was mentioned in our previous reviews. Over the past months, it has fallen far behind the oil prices, which traditionally always guided the currency. The loonie was hit with concerns over NAFTA, which could be renegotiated at Donald Trump’s behest. We consider this risk minor in the short-term as the U.S. president has officially allowed 30 days before taking any action on the matter. We would even assume that Justin Trudeau has managed to secure himself a peaceful trade relationship with its neighbor, but it wouldn’t be smart to rule out surprises ahead of November’s general elections. The USDCAD price dynamics are also in favor of a short position. The cross has now tested the resistance at 1.314 and has successfully reversed down. Assuming the prices move symmetrically lower, the next target is 1.242. This coincides with multiple important levels obtained via wave analysis. No need to even mention the weak dollar story here as there’s been enough said on that already. 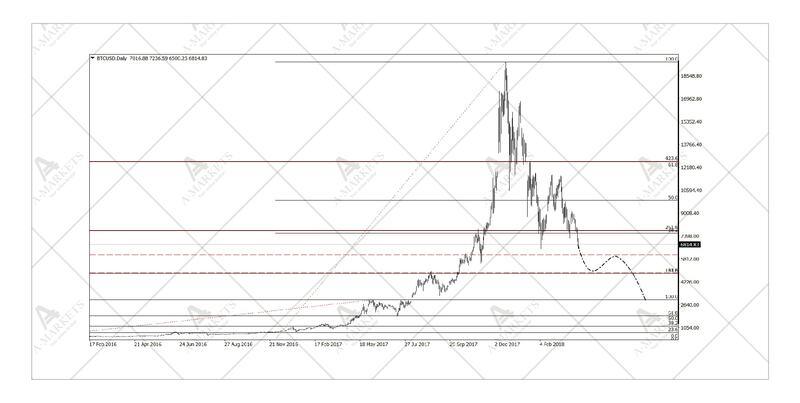 We refrain from any investments in cryptoassets and estimate the fair value of Bitcoin to be around $300 in the most optimistic scenario. As per usual, we warn that volatility in cryptocurrencies is too high to attempt any speculative transactions. What lures investors so much now will eventually be their doom. We believe that every cryptoasset is more difficult to analyze than most other assets using probabilistic models. Fundamentally, there’s nothing important left to be said either. We would only point out that general withdrawal of liquidity and rise of volatility have pushed the most speculative money out of the crypto segment, leading to significant drawdown in bubbly markets. Technically, there’s still plenty of room for the Bitcoin to fall. The mid-tern uptrend has been broken and there’s only a slow long-term trend still serving as a support. Where it lies exactly is too difficult of a question to answer, but our models suggest something close the $300. That is in line with other approaches to estimating “fair value” of the asset.